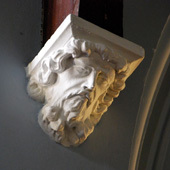 The movement to revive the Gothic style belongs chiefly to the late c18 and the c19 but remained the predominant style for church building well into the c20 for especially the English churches. A curious phenomenon occurred in the interior (notably during the early years of the Boer Republics) where simple pioneer buildings were built on cross form and gothisised using small turrets and pointed arches to purvey their use as places of worship. See the Nederduitse Gereformeerde Church, Lydenburg, Mpumalanga. 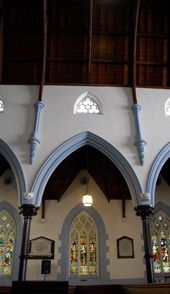 Good examples of Gothic Revival are the Metropolitan Methodist Church, Greenmarket Square, Cape Town (see photos), and the Cathedral church of St Michael and St George in Grahamstown.